The world-class Perth Motorplex will move to full International Hot Rod Association (IHRA) sanctioning from December 1, 2015. The move comes after the local governing body; the Australian National Drag Racing Association (ANDRA) made it clear it would not sanction upcoming 400 Thunder events at the multi-million dollar venue. Perth Motorplex General Manager, Kevin Prendergast said IHRA sanctioning ends months of turmoil and uncertainty, and brings a host of benefits for competitors. “We’re proud to align our world-class venue with the globally recognized IHRA to sanction all future events at Perth Motorplex,” Prendergast said. “Perth Motorplex has continued to attempt to work with ANDRA, but its unreliable behavior over the past few months and last week’s announcement left us no option but to explore other sanctioning options in the best interest of our competitors and the future of the sport. Prendergast said the venue’s insurance policies would not be affected by the change. “Like a number of Australian tracks, Perth Motorplex has organized its own Public Liability and Personal Accident Insurance separate to ANDRA for a number of years,” he said. The IHRA is the second largest drag racing regulator in the world, with more than 100 member tracks across the United States, Canada, New Zealand and the Caribbean. 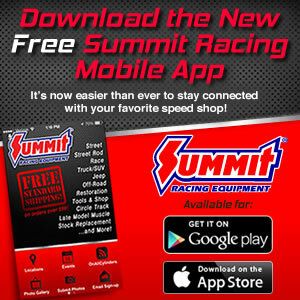 Founded in 1970, the U.S. based body is also responsible for the promotion of the IHRA Drag Racing Series, Summit Pro-Am Tour, Summit SuperSeries, Summit Junior SuperSeries, and the Summit Tournament of Champions. IHRA / Australian safety regulations and class structures will be announced soon. A racer information briefing has been arranged for this Tuesday November 24th at 7:00 pm at the Perth Motorplex for all who wish to attend. This meeting will be attended by Perth Motorplex management and Venues West Chief Executive Officer David Etherton.